CALL HELP AND ORDER LINE. 402-331-0854 FOR A DEALER NEAR YOU. 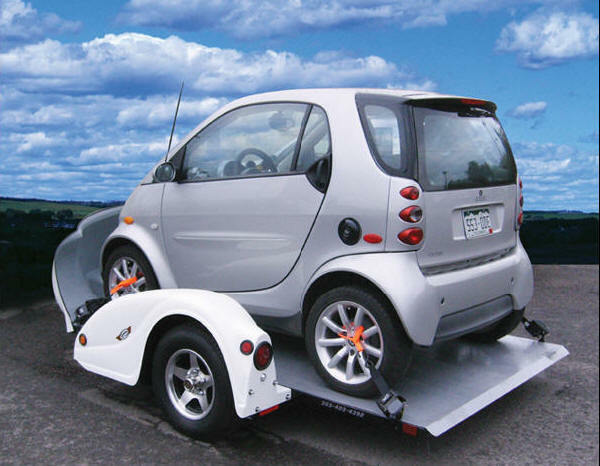 OUR SMALL CAR TRAILER ARE CONSTRUCTED TO CARRY THE SMALL CARS SAFELY AND YET ARE HUNDREDS OF LBS. LIGHTER THAN A REGULAR CAR TRAILER. 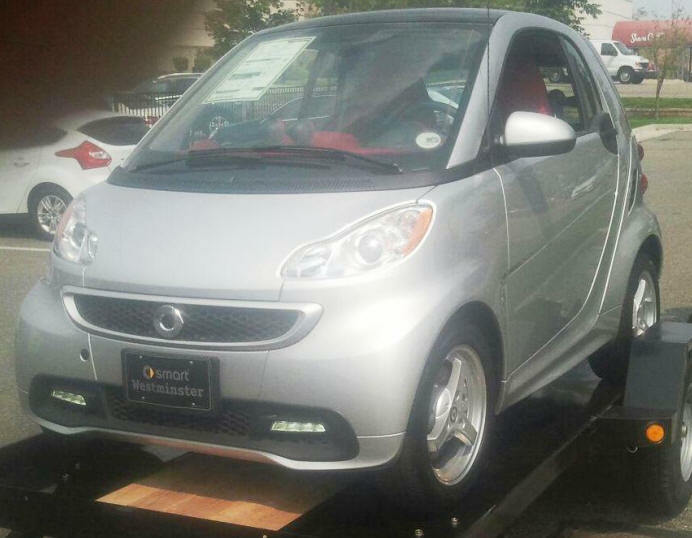 WE HAVE 2 MODELS, A 10 FT. MODEL AND A 12 FT. MODEL FOR LARGER CARS LIKE THE FIAT 500. 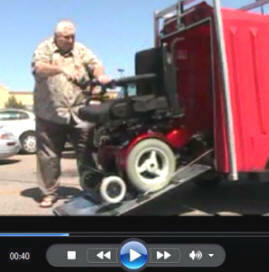 THE REAR RAMPS ARE ATTACHED AS THE REMOVABLE RAMPS ARE A POPULAR THEFT ITEM. 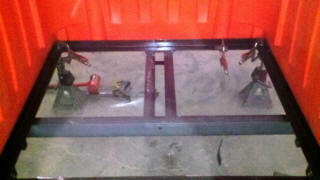 TO ELIMINATE THEFT, WE WELDED THEM TO THE FRAME. INFORMATION ON OUR YUPPIE WAGON TRAILER. SALE INCLUDES EZ LUBE HUBS ! 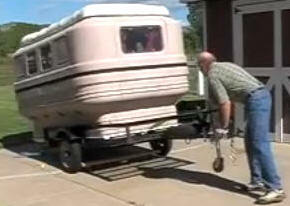 YUPPIE WAGON TRAILERS ARE EZ TO TOW AT ONLY 460 LBS. AND KEEPS CONTENTS DRY AND SAFE. YOUR CHOICE SWING OPEN OR REAR RAMP DOOR. 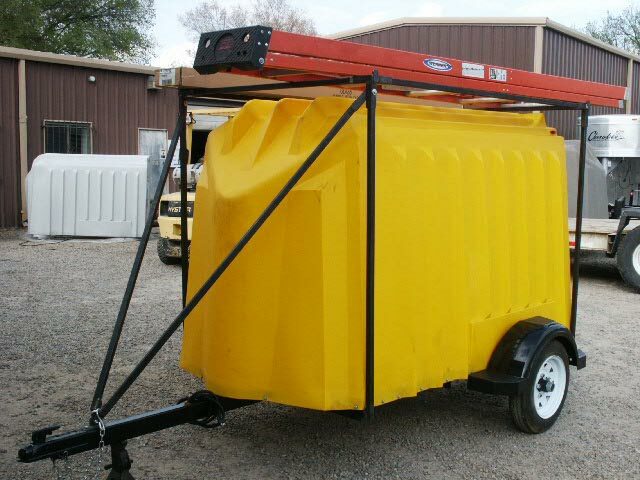 WE HAVE A ENCLOSED OR OPEN UTILITY TRAILER JUST FOR YOU THAT CAN CARRY FROM 960 TO 1460 LBS. ! LOOK AT ALL OUR MODELS. 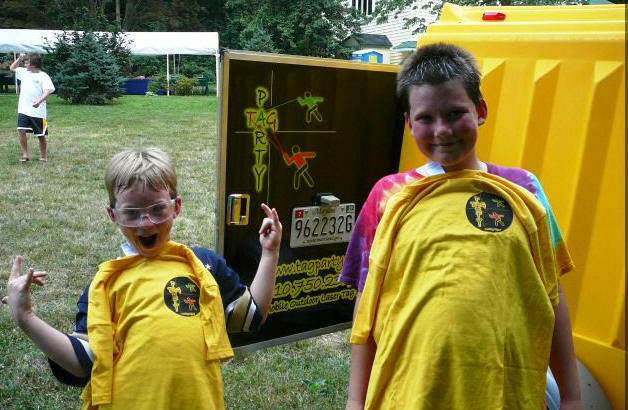 SWING OPEN OR REAR RAMP DOOR. 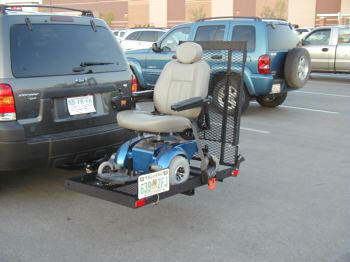 FOR ATV, CAMPING, SHOWS, WORK OR HANDICAPPED SCOOTER & POWER CHAIRS. 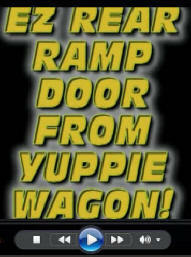 LED MOBILE SIGNS FOR THE YUPPIE TRAILER! ATTRACT CUSTOMERS. RENT LED SIGN TRAILERS. NOW WITH CANOE, KAYAK, LADDER RACK, ROOF CARRIER! 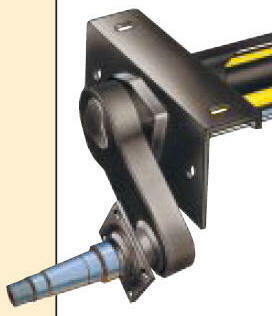 SPECIFY WHEN ORDERING, SWING OPEN PICTURED ON THE RIGHT OR REAR RAMP DOOR PICTURED ABOVE. IT IS ALSO HEAVY DUTY AND HAS BEEN TESTED OVER THE YEARS. PHOTOS ABOVE ARE WITH A 10 FT. LADDER AND A 10 FT. LONG CARDBOARD BOX OF ALUMINUM TUBING ON THE UNIVERSAL CARRYING RACK. NOTICE THE LICENSE BRACKET IS LIGHTED AND THE HEAVY DUTY LOCKING BAR THAT YOU CAN PUT A PADLOCK ON. 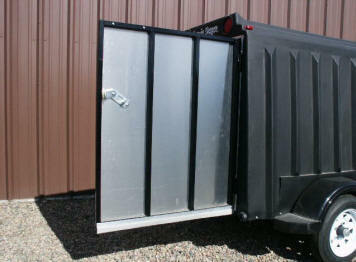 YUPPIE TRAILERS ARE OFFERED IN A VARIETY OF REAR DOOR OPTIONS. PHOTO IS OF THE REAR RAMP DOOR. IT ALLOWS ACCESS TO ROLL ITEMS IN AND OUT WITH EASE. REAR DOOR IS LOCKABLE. 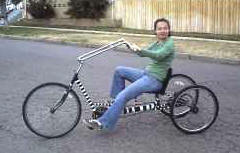 AND INCLUDES 4 FLAT WIRING FOR SIDE AND TAIL-STOP LIGHTS. 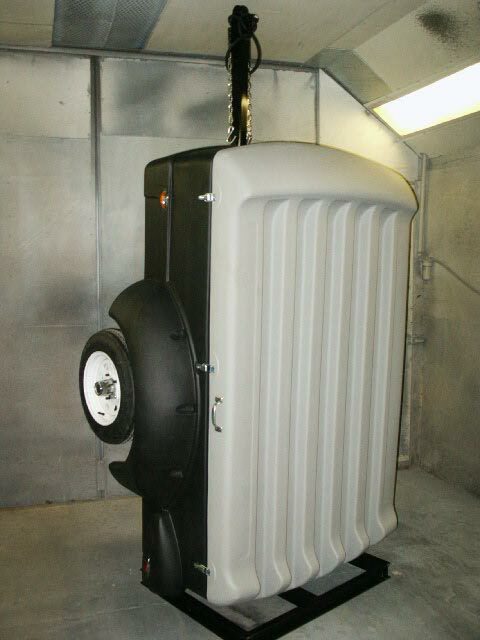 12 INCH TIRES ALLOW FOR A GENEROUS WEIGHT CARRYING CAPACITY OF 1000 LBS. OPTIONAL WITH 13" TIRES. TONGUE IS DETACHABLE, ON MOST UNITS. 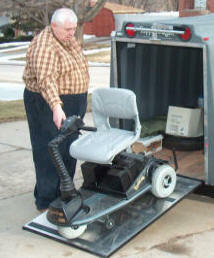 REAR RAMP DOOR IS EASY TO COMPLETELY REMOVE SO AS TO CARRY EXTRA LONG ITEMS. 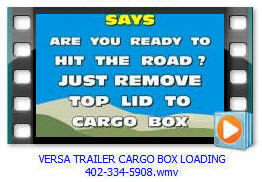 WATCH MOVIE OF OPENING AND CLOSING OPTIONAL CARGO CARRIER. 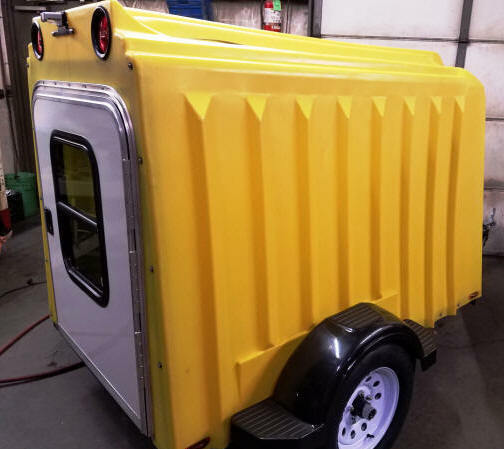 NEW LARGER WIDER DOOR ALLOWS EASY LOADING OF WIDER POWER CHAIRS, ATV, 4 WHEELERS, SHOW KARTS, EQUIPMENT DOLLIES, AND IS GREAT TRAILER FOR WHOLESALE DELIVERY OF PRODUCTS. 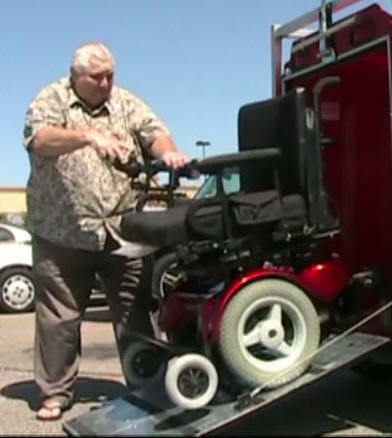 LET OUR MOBILITY STAFF ANSWER ANY QUESTIONS YOU MAY HAVE. BE PREPARED ! 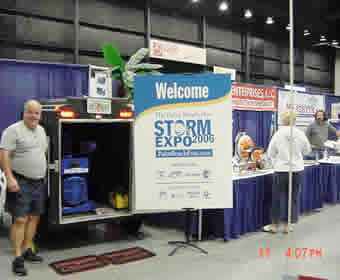 THE YUPPIE WAGON TRAILER AND OUR PULMOR TRAILERS MAKE A GREAT EMERGENCY TRAILER! 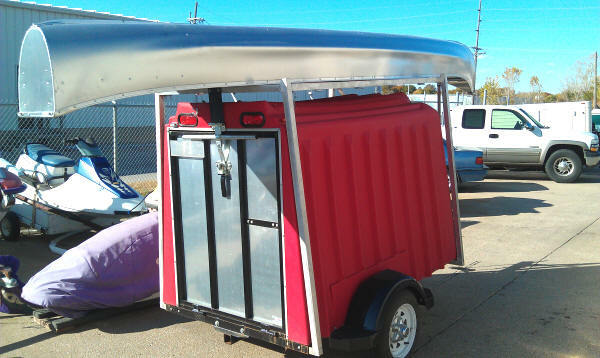 IT ALSO DOUBLES AS A GREAT CAMPING AND OR ALL AROUND UTILITY TRAILER. BE PREPARED WITH 3 TO 5 DAYS OF WATER, FOOD, AND MEDICAL SUPPLIES. BATTERY POWER AND SOLAR CHARGING AVAILABLE. LET OUR STAFF ANSWER ANY QUESTIONS YOU MAY HAVE. 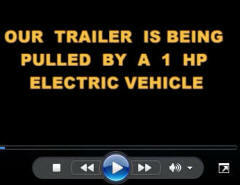 CLICK HERE TO WATCH VIDEO ON SOLAR TRAILERS AND POWER INVERTERS. 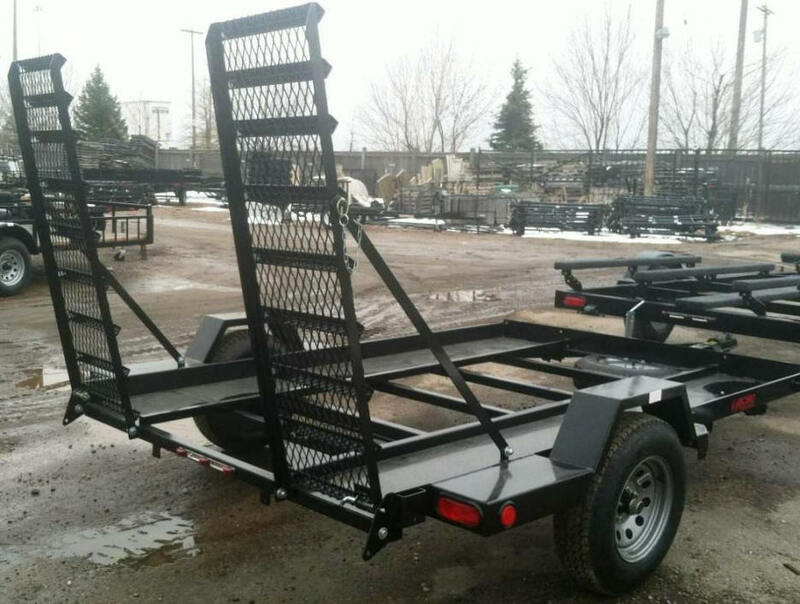 EZ TOW, YUPPIE WAGON, PULMOR, AND VERSA TRAILERS COME EQUIPPED WITH EXTENDED, EZ REMOVABLE EXTENDED TONGUE WITH TONGUE HANDLE, UNDER TONGUE COUPLER GUARD, 4 FLAT WIRING, AND 2 INCH COUPLER, SAFETY CHAINS. 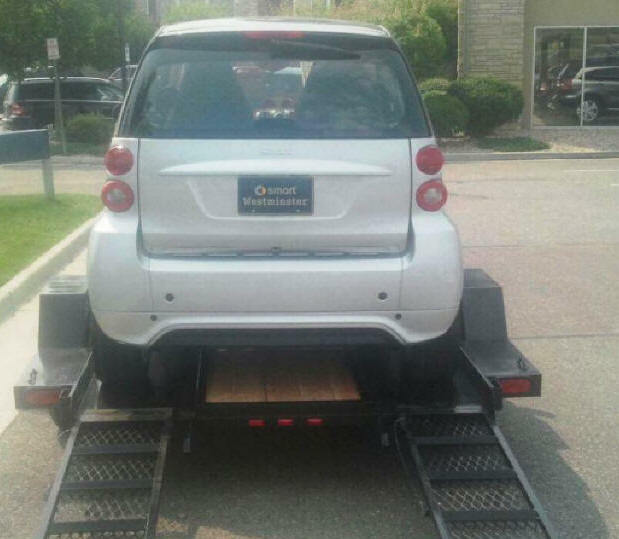 ORDER THE EZ CLOSING REAR RAMP DOOR ON YOUR YUPPIE WAGON TRAILER OR OUR EZ TOW ENCLOSED SMART CAR TRAILER OR OUR EASY TOW ENCLOSED ALL PURPOSE TRAILER. ONLY $349.95 INSTALLED. 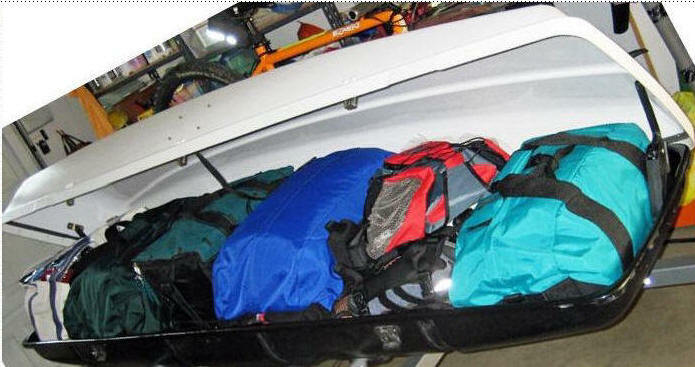 CARPETING ON RACK PROTECTS CANOE FROM BEING SCRATCH BY RACK. 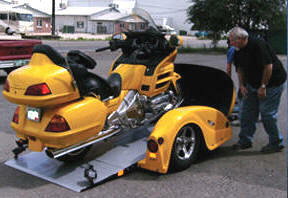 MOST TRAILERS DO NOT PROVIDE LENGTH TO BE LEGAL TOWED. 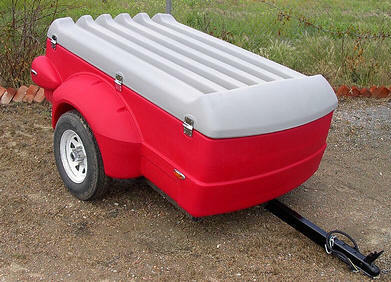 EZ TOW, YUPPIE WAGONS AND VERSA TRAILERS ALLOW CANOE TO BE MOVED FORWARD SO AS TO KEEP REAR LENGTH OF CANOE TO TAILLIGHTS IN COMPLIANCE WITH LENGTH LIMITS LAW. 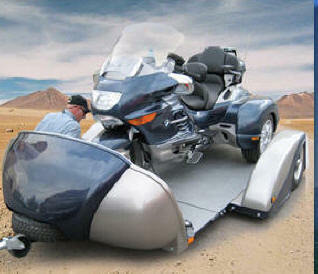 OPTIONAL BIKE CARRIER RECEIVER WILL CARRY UP TO 4 BIKES! 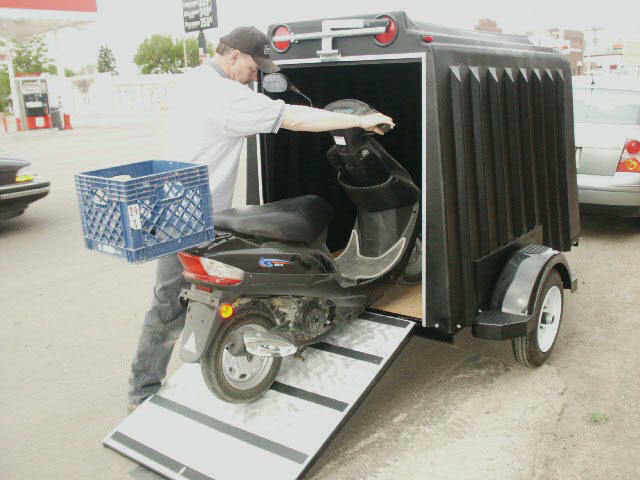 ROLL YOUR BIKES, GO KARTS, ELECTRIC AND GAS SCOTER INSIDE TO KEEP THEM SAVE! 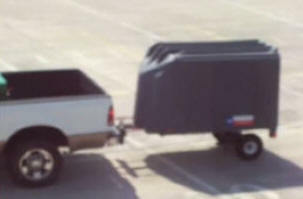 PHOTO IS YUPPIE TRAILER WITH A REAR SWING OPEN DOOR. WIDTH IS 36 INCHES, HEIGHT IS. YES! 44 " HIGH DOOR ! SWING OPEN STYLES NOW ALL LOOK LIKE THE MODEL ON THE LEFT. THE LIGHTWEIGHT YUPPIE PULLS EASY. YOU WILL NEVER KNOW IT'S BEHIND YOU. 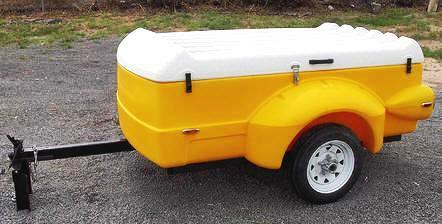 YUPPIE WAGONS ARE AVAILABLE IN 5 COLORS. BLACK, RED, YELLOW, DARK GREEN, AND GRAY. LARGE VARIETY OF OPTIONS. 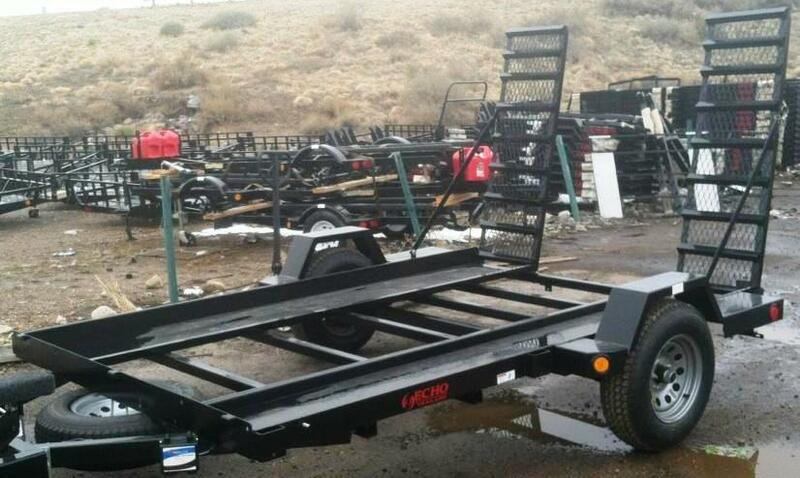 LET US BUILT ONE FOR YOU, OR PICK FROM A STOCK OF READY TO GO UNITS. IF YOU ALREADY HAVE A TRAILER, BUY JUST THE SHELL ONLY. SHELL SLIDES ON AND OFF AND SHELL ALSO CAN DOUBLE AS A LAKE OR BACKYARD SHED. IT IS GREAT FOR CAMPING AS IT CAN BE PULLED BY A SMALL CAR. ADD THE DOOR STYLE YOU WANT! 8 COLORS TO CHOOSE FROM. 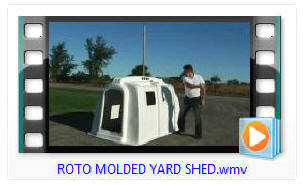 THEY MAKE GREAT SHELTERS, LAKE CABINS OR OUTDOOR SHEDS, ICE FISHING HOUSES. SLIDES ON / OFF YOUR TRAILER. START YOUR OWN STORAGE RENTAL BUSINESS. FOR INFORMATION CALL. THIS VIDEO SHOWS A POLYETHYLENE ROTO MOLDED SHELL BEING HIT REPEATEDLY WITH 20 LB SLEDGE HAMMER, HIT BY VEHICLE AT 12 MPH. AND THEN DROPPED FROM THE AIR. IF YOU ALREADY HAVE A TRAILER, BUY JUST THE SHELL ONLY. 4 X 7 FT. 5 X 10 FT. CAMPER MODEL FEATURES SCREENED DOOR PLUS A SECURITY LOCKABLE KEYED DOOR..
ALSO AVAILABLE WITH A REAR RAMP FOR ENCLOSED ATV OR MOTORCYCLE TRAILER, TOY HAULER. 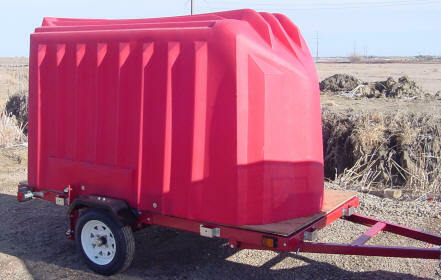 Cargo Trailer The Yuppie Wagon 4 FT. X 7 FT.
Main Frame Construction: 2" x 2" Angle Iron and box tubing. Trailer Empty Weight: 460 lbs. Approx. 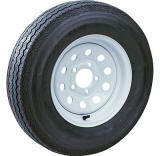 Coupler Size: 1-7/8" or 2"
Width Between Wheel Wells: 48"
Deck Height: 15" to 18"
Axle: 2000 lbs. 48 x 58 5 Lug Under Slung 20" Springs, or torsion axle. Door Opening Size: 36 wide 44 inches tall. YOUR CHOICE SWIG OPEN OR REAR RAMP. 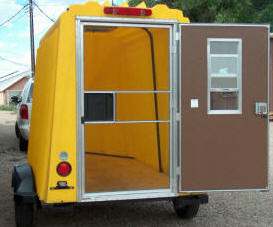 * Single Rear Door Side opening, w/ Lock Latch or Rear ramp gate rear door. Larger tires and heavier axles. 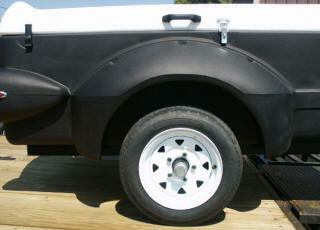 EZ LUBE HUBS ARE STANDARD ON THE PULMOR, YUPPIE WAGON AND EZ TOW TRAILERS! EZ LUBE HUBS ARE THE BEST! 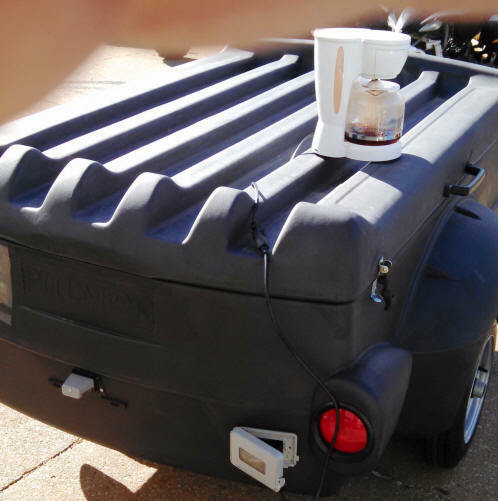 EZ LUBE HUBS SAVE YOU HUNDREDS OF DOLLARS IN MAINTENANCE COSTS OVER THE LIFE OF THE TRAILER! 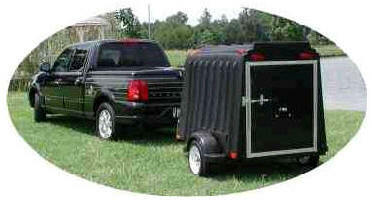 TRAILERS ARE GREAT TO CARRY YOUR MERCHANDISE TO SHOWS! 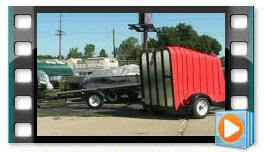 OUR TRAILERS ARE GREAT TO TAKE YOUR SALES ITEMS TO FLEA MARKETS AND SWAP MEETS. WE CAN SHIP IT TO YOU! 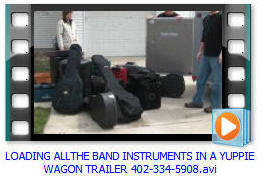 REMEMBER, IF YOU HAVE A SMALL VEHICLE WE HAVE JUST THE TRAILER FOR YOU! ORDER YOU CAMPRIGHT YUPPIE WAGON AND EZ TOW TRAILER TENT WITH YOUR NEW YUPPIE WAGON OR CONTACT YOUR DEALER IF YOU ARE A CURRENT OWNER. New modern design provides easiest set up and roomiest interior of any SUV tent! 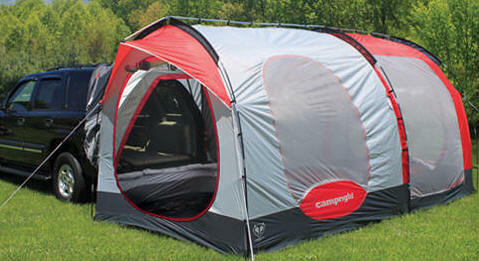 The CampRight SUV Tent lets you camp without leaving all the luxuries of home behind. 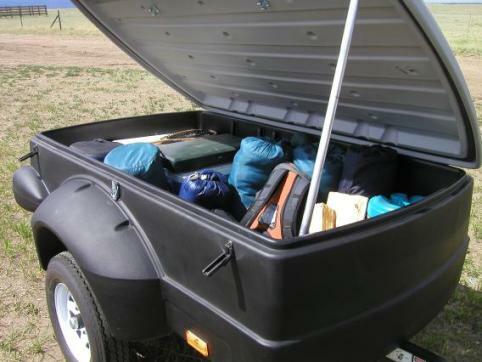 The tent connects to the back of your YUPPIE WAGON OR EZ TOW TRAILER, or suv, minivan, or pick-up truck with cap, providing access to the inside of your vehicle for extra storage or sleeping locations. The “alligator clamping sleeve” easily disconnects from your vehicle, allowing you to leave the tent behind as you go about the day’s adventures. The screen room allows you to eat, play games, read, or just relax outside without entertaining any unwanted pests. All of these features for a fraction of the cost of any camper..
OUR YUPPIE WAGON AND EZ TOW TRAILERS ATTACH THE SAME AS THE SUV IN THE PHOTO. 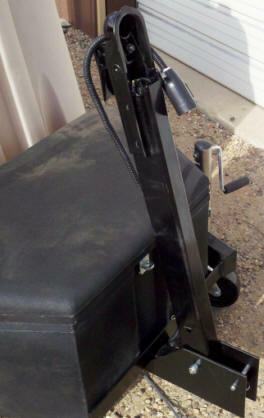 THE SMOOTH FLOOR OF THE TRAILER PROVIDES A LEVEL OR YOU CAN ADJUST THE FLOOR AREA ANGLE WITH THE TONGUE JACK. 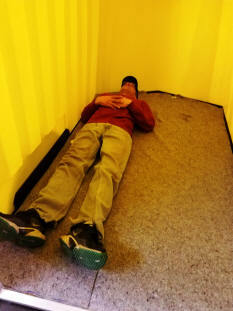 THIS ADS AN ADDITIONAL 28 SQUARE FT. OF SLEEPING AREA. NOW EVEN WITH THE SMALLEST VEHICLE YOU CAN ENJOY A LARGE COMFORTABLE CAMP OUT AND WAKE UP REFRESHED. THE SCREEN ROOM IS LARGE ENOUGH TO ALLOW MOST CAMPGROUND PICNIC TABLES TO BE PLACE INSIDE THE SCREENED AND BUG FREE ENCLOSED AREA. We believe that the next level of camping involves ease of set up, comfort, and staying dry. All of our camping products are designed to be as mobile as you are so that you can camp anywhere your vehicle will take you. 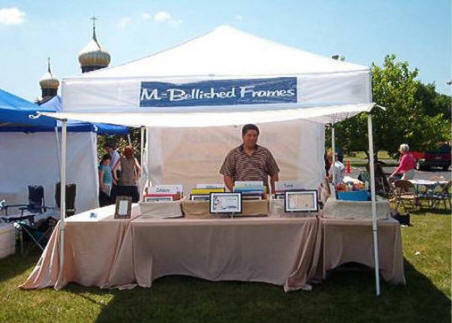 Our tents are manufactured from fabric that is uv protected, fire resistant, and waterproofed with WeatherGuard. They are easy to set up with color coded poles and instruction sheets sewn right into the stuff sacks. 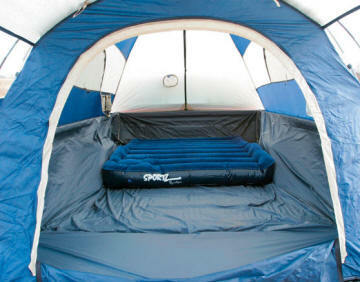 OUTDOORS IN THE MIDWEST HAS COMMITTED TO DO A PRODUCT REVIEW ON THIS TENT AND HAVE IT PUBLISHED IN DECEMBER. Water resistant fabric with sealed seams –no rain fly is necessary. “Alligator clamping sleeve” with foam padded edge seals around the rear of vehicle. 130G PE bathtub floor keeps rain and water out-you stay dry. Gear pockets for storage and organization. Large doors and windows with no-see-um mesh and storm covers. Superior styling with gray/red colors to match most vehicles. Main tent room sleeps 5 and vehicle cargo area sleeps 2. Screen room door has no-see-um mesh, storm covers, and a clear pvc window that allows for viewing outdoors on rainy days. Screen room floor is open to prevent damage from tables, chairs, and coolers. 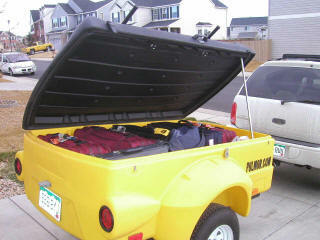 Pulmor Trailer, the versatile lightweight trailer for road trips, sports and outdoor recreation. Pulmor trailers are Made in America. 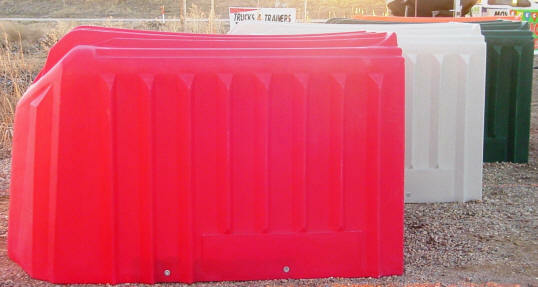 The bodies and lids are manufactured from robust polyethylene which will not dent, rust or rot. 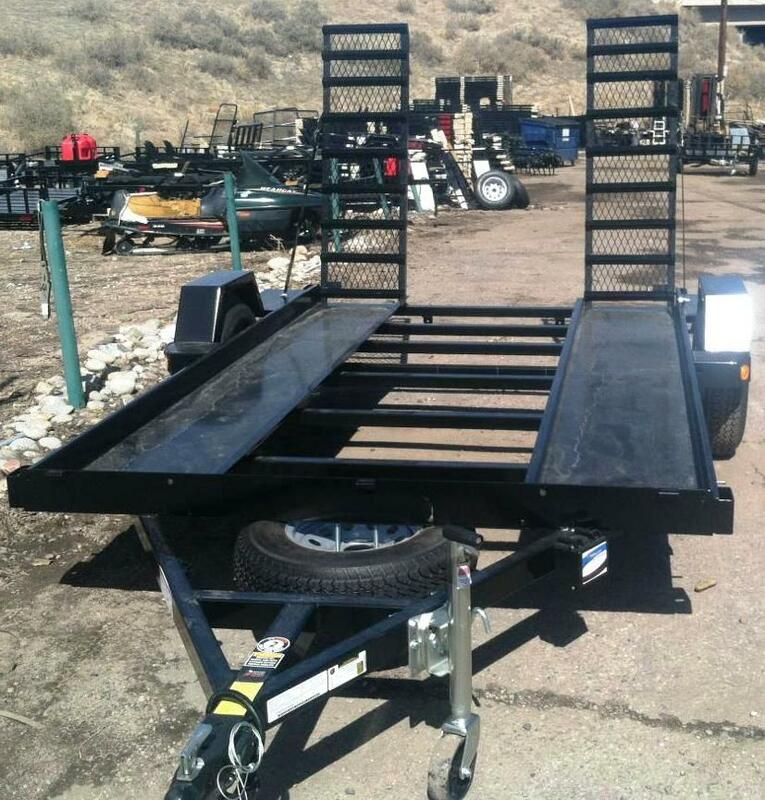 The trailer weighs just 370 lbs with a tongue weight of 32 lbs, but can carry a load up to 1000 lbs. Standard body colors are black, yellow, green, gray or red with light gray tops. Custom colors are available. 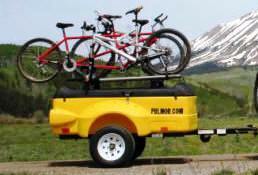 PULMOR TRAILER IS LIGHTWEIGHT AND STREAMLINED SO YOU WILL NEVER KNOW IT'S BEHIND YOU. IT IS LOW PROFILE AND GAS EFFICIENT. MOST VEHICLES ALLOW FOR YOU TO SEE OVER THE TOP OF THE TRAILER IN YOUR REAR VIEW MIRROR DUE TO IT'S LOW PROFILE. WE HAVE A COLOR JUST FOR YOU. WATER TIGHT, WITH DRAIN HOLE. 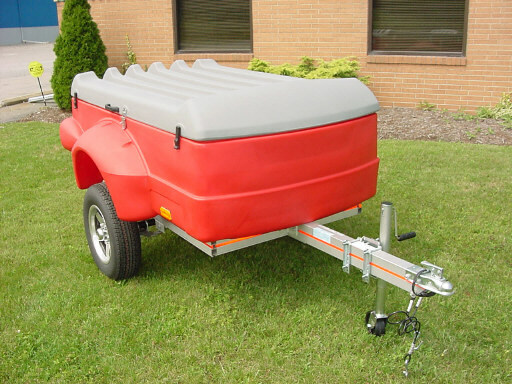 MOST DEALERS CARRY THE PULMOR TRAILER WITH A HINGED LID THAT EASILY REMOVES FROM THE LOWER BODY BY REMOVING FROM THE INSIDE MAKING IT THEFT PROOF. 1 END HINGE AND SLIDING THE UNIT 4 INCHES TO REMOVE IT. ALSO AVAILABLE WITH SOFT TOP COVER. CLOSE UP PHOTO OF THE LID AND SUPPORT POLE, NOTICE INDENTS TO HOLD THE SUPPORT POLE ON PLACE. NEED TO CARRY A LOT OF LUGGAGE? SEE BELOW! 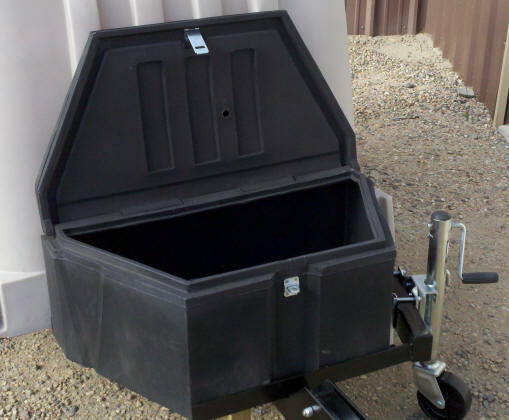 PULMOR TRAILER FEATURES SLOTS IN THE SIDE SO YOU CAN ADD DIVIDERS OR TURN TRAILER ON END AND USE AS A STORAGE UNIT. 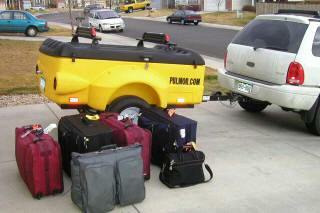 PULMOR TRAILER CAN BE STORED ON END WITH OPTIONAL 2X2 REAR RECEIVER AND FLOOR STAND. PULMOR HAS 32 CUBIC FT. IF INSIDE STORAGE SPACE. 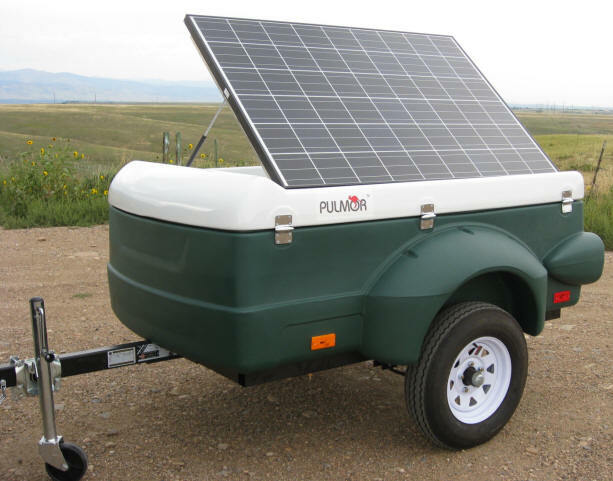 PULMOR SOLAR POWER TRAILER FOR ALL YOUR NEEDS EQUIPPED THE WAY YOU WANT IT. MORE INFORMATION, SHORT MOVIE CLICK HERE. 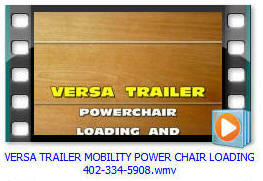 ASK FOR JIM THE TRAILER MAN AT 402-334-5908. ORDER OUR ALUMINUM RACK BELOW. IT HAS ALL THE MOST IMPORTANT SAFETY FEATURES AND IS 2 TO 3 TIMES STRONGER THAN OTHERS ON THE MARKET. EZ TOW, YUPPIE WAGON, PULMOR, AND VERSA TRAILERS COME EQUIPPED WITH EXTENDED, EZ REMOVABLE EXTENDED TONGUE WITH TONGUE HANDLE, UNDER TONGUE COUPLER GUARD, 4 FLAT WIRING, AND 2 INCH COUPLER. 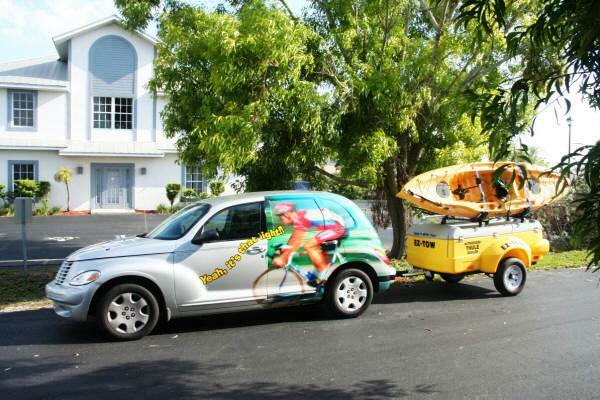 PULMOR TRAILER HAS A WIDE SELECTION OF ROOF RACK TO CARRY LUGGAGE, AND LONG CANOES, KAYAKS, PADDLE BOARDS, ETC. WE OFFER CROSS BARS TO CARRY YOUR ITEMS SAFE AND SECURE. RACK CAN BE ADDED AT THE TIME OF PURCHASE OR ADDED LATER. INSTALLED FREEIF ORDERED ON THE TRAILER. THIS TOP MOUNTED RACK IS VERY HEAVY DUTY AND IS THE SAME AS WE MOUNT OUR LARGER SOLAR PANELS ON. PLENTY OF ROOM FOR LIGHT LUGGAGE, BOXES, TENTS, UP TO 120 LBS. EVENLY DISTRIBUTED. WITH RAISED RIB TOP WATER RUNS OFF QUICKLY. 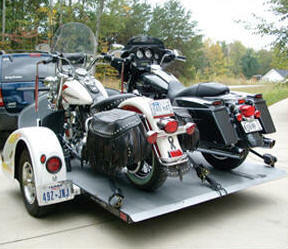 TOP MOUNTED BIKE CARRIER IS ALSO AVAILABLE. 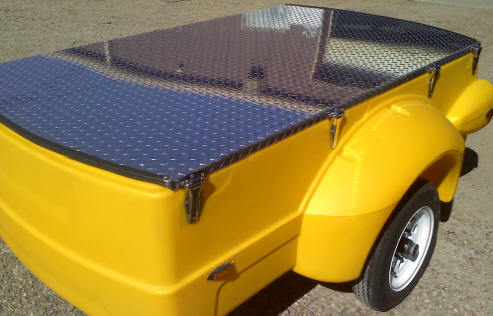 WE MAKE SOLAR TRAILER IN A VARIETY OF POWER CHOICES. 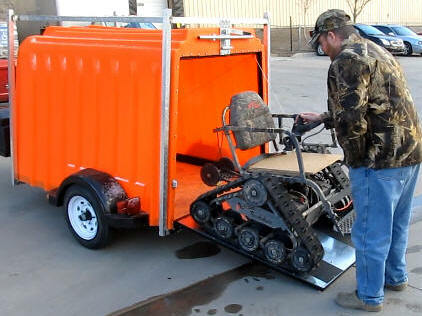 THIS IS A POWER TRAILER! WHILE WE WERE WAITING FOR THE CUSTOMER TO PICK IT UP WE DECIDED TO MAKE SOME COFFEE AND HAVE IT READY WHEN HE ARRIVED. WE HAVE A MODEL WE CAN DESIGN THAT WILL FILL YOUR NEEDS. OUR ROTO MOLDED SHELLS ARE TOUGH! Pulmor AT (Action Trailers) are rich in Features and Benefits. 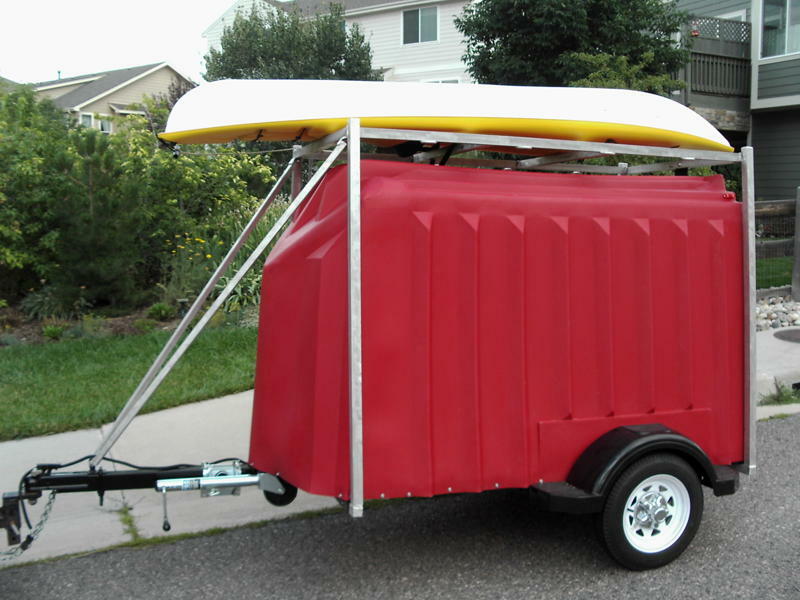 We have designed the ultimate all-purpose trailer for the outdoor enthusiast. 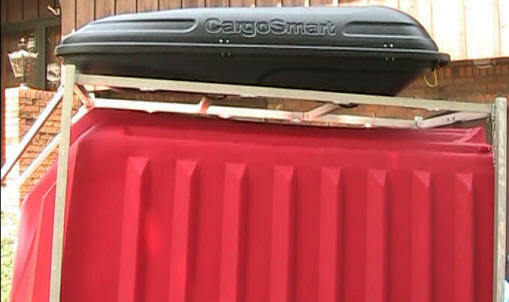 The easiest way to transport luggage, sports equipment, camping gear and home improvement materials. 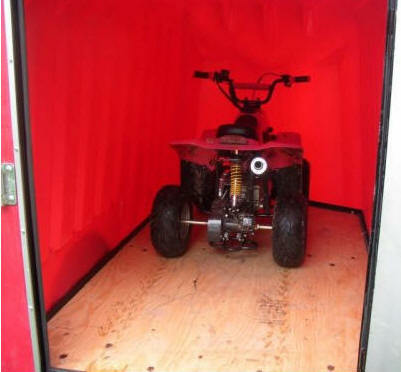 Safe, secure storage and transport of goods. Optional rails and racks allows for additional carrying of sports equipment on top. 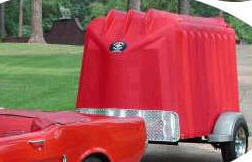 Less drag than roof mounted carrier systems or taller trailers - leads to better fuel efficiency. Strength and Durability. Low maintenance. Will not rust or rot. 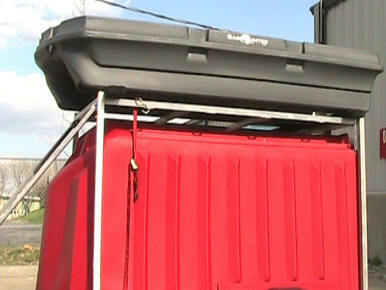 Top Removable Top, Removes from the inside as as safety and security feature. 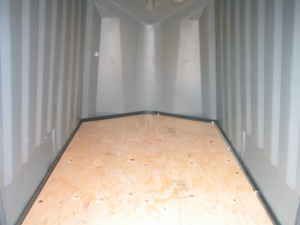 Flooring Roto Molded as part of the trailer shell. Has a removable drain plug. EZ LUBE HUB FEATURES EZ LUBE HUBS. 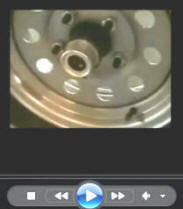 Allows the repacking of the wheel bearings without removing them. THIS ITEM IS STANDARD EQUIPMENT! OTHER COMPANIES CHARGE UP TO $120.00 EXTRA FOR THEM. Tongue Removable. Wiring harness fits inside the tongue for additional protection. Interior Volume 32.5 cubic ft. 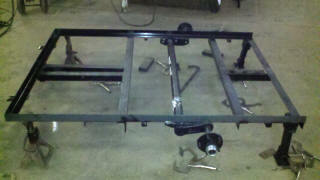 Overall size 116" x 62" x 37"
THIS PHOTO SHOWS OUR TORSION AXLE MOUNTED TO THE UNDERSIDE OF THE TRAILER FRAME. COMBINED WITH OUR EASY LUBE HUBS PICTURED ABOVE WE OFFER YOU THE BEST AXLE, HUB LUBRICATION SYSTEM POSSIBLE AS STANDARD. OTHERS CHARGE UP TO $120.00 ADDITIONAL. 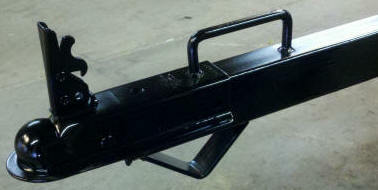 TORSION AXLES ARE ALSO USED ON OUR MUTT TRAILERS. WE OFFER THE SMOOTHEST RIDE ON THE ROUGHEST OF ROADS.